Our people are important to us and a chance to help out in anyway that we can is a gift. 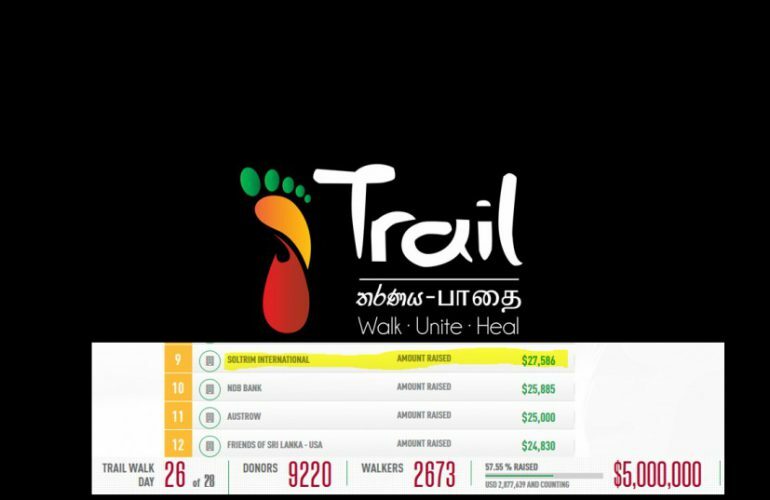 We are honored to have been able to take part in Trail 2016: The Walk Back, which was a singular initiative. We joined hundreds of other participants from across the nation and walked from Point Pedro to Southern Dondra Head with the united intention of raising USD 5 million which will all go towards building a cancer treatment facility as an extension of the Karapitiya Teaching Hospital in Galle. SolTrim International Pvt Ltd is humbled and privileged to have been able to raise USD 27, 586 towards saving lives of our fellow citizens.